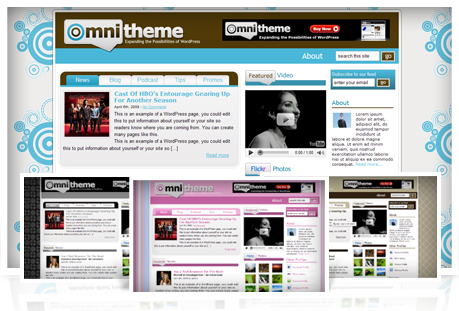 Omni Theme WordPress theme that is great for MySpace or Facebook users that are looking for their own website or blog with a more professional and custom look. Omni Theme WordPress theme that is great for MySpace or Facebook users that are looking for their own website or blog with a more professional and custom look. Omni Theme was created as a fun, website styled WordPress theme with a magazine styled home page and social networking section to keep your friends up to date with where else you are on the web. Omni Theme's Latest Premium WordPress Theme available in 5 colors. Omni Theme Professional is perfect for professionals of any industry that are looking for their own personal website or blog with a more professional and custom look. Omni Theme's Latest Premium WordPress Theme available in 5 colors. 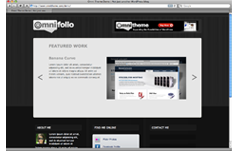 Omni Theme Professional is perfect for designers of any industry that are looking for their own personal portfolio online. Omni Theme was created as a fun, website styled WordPress theme with a magazine styled home page and social networking section to keep your friends up to date with where else you are on the web. 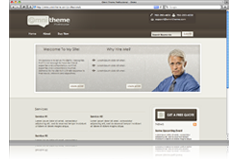 "Omni Theme was the perfect solution for me to start my own website. I've had a MySpace and Facebook profile for a few months now and I wanted to start my own blog. Omni Theme made it easy to get it up exactly how I wanted it"
Copyright © 2009 OmniTheme.com All Rights Reserved.